1. Lindsley, D. L. and Zimm, G. G. (1992) The Genome o/Drosophila melanogaster. Academic, San Diego, CA. 2. Saura, A. O. (1986) Electron microscopic mapping of the second polytene chromosome of Drosophila melanogaster: Ph.D. dissertation, University of Helsinki. 3. Sorsa, V. (1988) Chromosome Maps o/Drosophila, CRC, Boca Raton, FL. 4. Heino, T. I., Saura, A. O., and Sorsa, V. (1994) Maps of the salivary gland chromosomes of Drosophila melanogaster. Dros. In/orm. Serv. 73, 619-738. 5. Semeshin, V. F., Zhimulev, I. F., and Belyaeva, E. S. (1979) Cytogenetic study on the 9E-10A region of the X chromosome of Drosophila melanogaster. I. Morphology of the region and mapping of deletions involving the 10A1-2 band. Genetika 15, 1784-1792 (in Russian). 6. Zhimulev, I. F., Semeshin, V. F., and Belyaeva, E. S. (1981) Fine cytogenetical analysis of the band 10A1-2 and the adjoining regions in the Drosophila melanogaster X-chromosome. I. Cytology of the region and mapping of chromosome rearrangaments. Chromosoma 82, 9-23. 7. Zhimulev, I. F. (1996) Morphology and structure of polytene chromosomes. Adv. Genet. 34, 1-490. 8. Berendes, H. D. (1970) Polytene chromosome structure at the submicroscopic level. I. A map of region X, 1-4E of Drosophila melanogaster. Chromosoma 29, 118-130. 9. Atherton, D. and Gall, J. (1972) Salivary gland squashes for in situ nucleic acid hybridization studies. Dros. Inform. Serv. 49, 131-133. 10. Semeshin, V. F., Demakov, S. A., Perez Alonso, M., Belyaeva, E. S., Bonner, J. J., and Zhimulev, I. F. (1989) Electron microscopical analysis of Drosophila polytene chromosomes. V. Characteristics of structures formed by transposed DNA segments of mobile elements. Chromosoma 97, 396-412. 11. 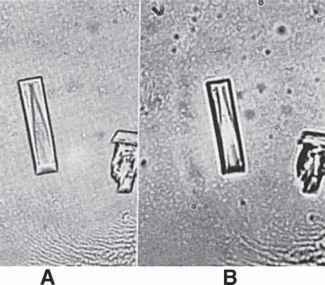 Semeshin, V. F., Baricheva, E. M., Belyaeva, E. S., and Zhimulev, I. F. (1985) Electron microscopical analysis of Drosophila polytene chromosomes. II. Development of complex puffs. Chromosoma 91, 210-233. 12. Zhimulev, I. F. (1999) Genetic organization of polytene chromosomes. Adv. Genet. 39, 1-599. 13. Semeshin, V. F., Zhimulev, I. F., and Belyaeva, E. S. (1979) Electron microscope autoradiographic study on transcriptional activity of Drosophila melanogaster polytene chromosomes. Chromosoma 73, 163-177. 14. Pardue, M. L. (1986) In situ hybridization to DNA of chromosomes and nuclei, in Drosophila: A Practical Approach (Roberts, D.B., ed. ), IRL, Oxford, pp. 111-137. 15. Wilkinson, D. G. (1992) The theory and practice of in situ hybridization, in In Situ Hybridization: A Practical Approach (Wilkinson, D. G., ed. ), IRL, Oxford, pp. 1-13. 16. Gall, J. G. and Pardue, M. L. (1969) Formation and detection of RNA-DNA hybrid molecules in cytological preparations. Proc. Natl. Acad. Sci. USA 63, 378-383. 17. Langer-Safer, P. R., Levine, M., and Ward, D. C. (1982) Immunological method for mapping genes on Drosophila polytene chromosomes. Proc. Natl. Acad. Sci. USA 79, 4381-4385. 18. Engels, W. R., Preston, C. R., Thompson, P., and Eggleston, W. E. (1986) In situ hybridization to Drosophila salivary gland with biotinylated DNA probes and alkaline phosphate. Focus 8, 6-8. 19. Pliley, M. D., Farmer, J. L., and Jeffrey, D. E. (1986) In situ hybridization of biotinylated DNA probes to polytene salivary chromosomes of Drosophila species. Dros. Inform. Serv. 63, 147-149. 20. de Frutos, R., Kimura, K., and Peterson, K. (1990) In situ hybridization of Drosophila polytene chromosomes with digoxigenin-dUTP labeled probes. Meth. Mol. Cell. Biol. 2, 32-36. 21. Wu, M. and Davidson, N. (1981) Transmission electron microscopic method for gene mapping on polytene chromosomes by in situ hybridization. Proc. Natl. Acad. Sci. USA 78, 7059-7063. 22. Hutchison, N. J., Langer-Safer, P. R., Ward, D. C., and Hamkalo, B. A. (1982) In situ hybridization at the electron microscopic level: hybrid detection by autorad-ography and colloidal gold. J. Cell Biol. 95, 609-618. 23. Kress, H., Meyerowitz, E. M., and Davidson, N. (1985) High resolution mapping of in situ hybridized biotinylated DNA to surface-spread Drosophila polytene chromosomes. Chromosoma 93, 113-122. 24. Semeshin, V. F., Artero, R., Perez-Alonso, M., and Shloma, V. (1998) Electron microscopic in situ hybridization of digoxigenin-dUTP labeled probes with Drosophila melanogaster polytene chromosomes. Chromosome Res. 6, 405-410. 25. Binder, M. (1992) In situ hybridization at the electron microscope level, in In Situ Hybridization: a Practical Approach (Wilkinson, D.G., ed. ), IRL, Oxford, pp. 105-120. 26. Begemann, G., Paricio, N., Artero, R., Kiss, I., Perec-Alonso, M., and Mlodzik, M. (1997) muscleblind, a gene required for photoreceptor differentiation in Drosophila, encodes novel nuclear Cys3 His-type zinc-finger-containing proteins. Development 124, 4321-4331. 27. Sass, H. and Bautz, F, E. K. (1982) Immunoelectron microscopic localization of RNA polymerase B on isolated polytene chromosomes of Chironomus tentans. Chromosoma 85, 633-642. 28. Turner, B. M., Franchi, L., and Wallace, H. (1990) Islands of acetylated histone H4 in polytene chromosomes and their relationship to chromatin packaging and transcriptional activity. J. Cell Sci. 96, 335-346. 29. Hill, R. J., Mott, M., and Steffensen, D. M. (1987) The preparation of polytene chromosomes for localization of nucleic acid sequences, proteins, and chromatin conformation. Int. Rev. Cytol. 108, 61-118. 31. Saumweber, H., Symmons, P., Kabisch, R., Will, H., and Bonhoeffer, F. (1980) Monoclonal antibodies against chromosomal proteins of Drosophila melanogaster. Establishment of antibody producing cell lines and partial characterization of corresponding antigens. Chromosoma 80, 253-275. 32. Makunin, I. V., Volkova, E. I., Belyaeva, E. S., Nabirochkina, E. N., Pirrotta, V., and Zhimulev, I. F. (2002) The Drosophila Suppressor of Underreplication protein binds to late-replicating regions of polytene chromosomes. Genetics 160, 1023-1034. 33. Kristolyubova, N. B. and Kerkis, Yu, A. (1968) The application of the "light" radioautography for electron microscopy investigations Cytology 10, 1497-1499 (in Russian). 34. Kerkis, A.Yu., Zhimulev, I.F., and Belyaeva, E.S. (1975) A method of electron microscopic autoradiography for studying the structural and functional organization of definite regions of polytene chromosomes. Cytology 17, 1330-1331 (in Russian).